In my opinion the best way to avoid auto repair scams is to fix your own car. I have put together a page for driveway mechanics and automotive consumers that includes a how to do it yourself video and explains in detail all about online car repair diagrams. My name is Mark and this page is about your right to know the truth about the auto service business. Keep in mind this information and the linked stories are just my jaded opinions. I also share the funny auto mechanic video and stories pulled from my book about the getting a car repaired subject. I meant well when I wrote the guide to auto service. It was created to help protect consumers from common rip-offs and scams that happen in the car business. With that said, there are plenty of honest shops out there. 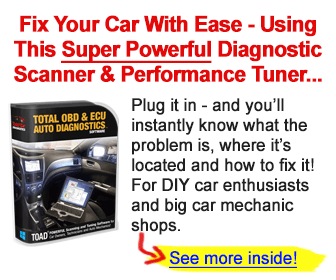 The online auto repair guide I wrote is no longer available. The good news is many of the pages exist on this site. The reasons I wrote the book, samples and links to the stories are to follow. I get a lot of email saying they can’t find the book. I took it down in favor of posting the story’s on the Auto-Facts.org website. When I sold the book nobody cared about it. As soon as I took it down people seemed interested? Remember you can read the important stories from this page and throughout the site. I updated some of them for your reading pleasure. First up is a quick overview of the root cause and the major malfunction of the retail car repair business. The automotive business is set up to maximize profits of the owner. They do this by motivating the auto mechanic using a variety of commission based pay plans. We explain the most popular of these plans here in this article about the auto shop flat rate system. This is a very funny video about what a customer and an auto mechanic might say to each other if they just had a dose of truth serum. Favorite or help others find this funny auto mechanic video. Now its time to go into a trusted shop for regular maintenance. Even the best shops can get slow and desperate. This next tip will help you defend against the big list of recommended automotive repairs. What happens when you take your vehicle into a dealership for factory recalls. My opinion is you should be on guard for the old car recall rip off. Have you ever had to go back to the same shop several times for the repair of one problem? How about improving this with a little trick to getting the car fixed right the first time. Some shops have the process of squeezing money out of your pocket down to a science. They even use posters as visual aids. However, when they supply bonuses to the service adviser and make you spend money you intended to keep for food this crosses the line. See a few of the things they try to up sell during the oil change game. When you have to decide what to approve and what to decline on the big list the repair center has presented to you remember this article about over doing automotive maintenance.The shop might lean toward over servicing your automobile when things are slow in the shop. Tires can be one the most expensive regular maintenance items on cars and trucks. Beware of the tire packages some retail tire dealers sell. Don’t pay for things like road hazard, alignments and extended warranties without understanding whats covered. See some other things often crammed into the average estimate on tires. They often put the hard working car technician into a difficult spot between the owner of the shop and the loyal customer. Unfortunately, sometimes this leads to tough decision making for the conflicted auto service mechanic. What if I told you that some hardened soulless individuals found their way into the auto repair business. With that said, you find bad people in all kinds of businesses including blue and white color positions. Since I had a ring side seat to a few bad mechanics I thought I would share some stories about these unscrupulous car technicians.